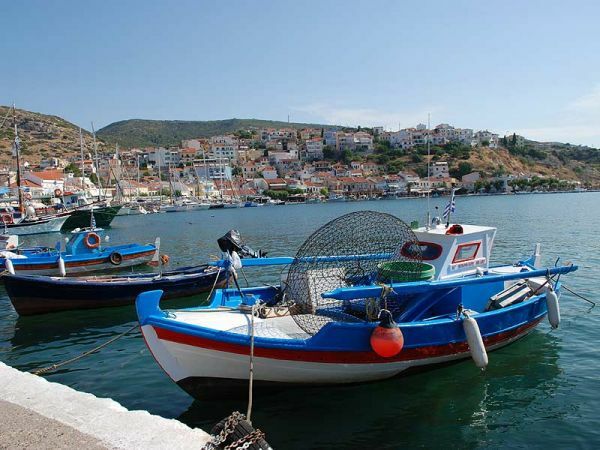 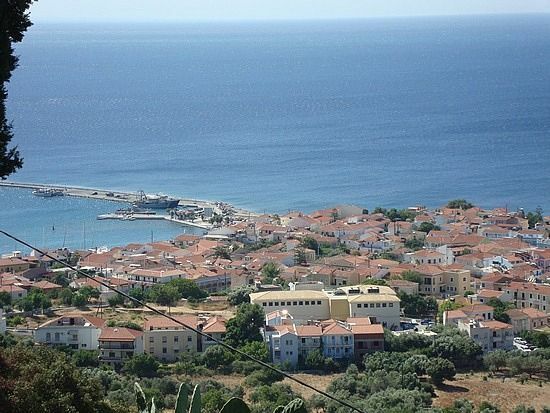 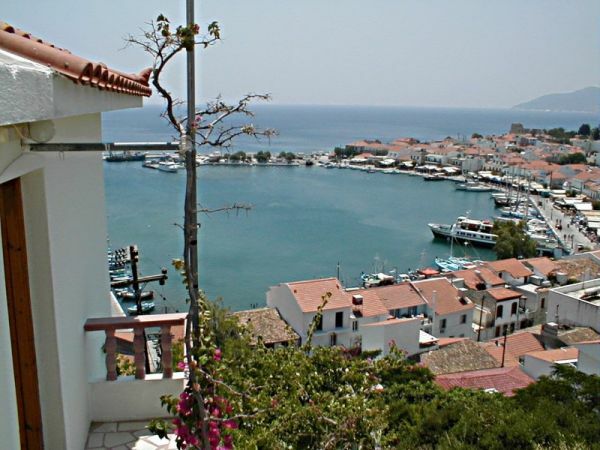 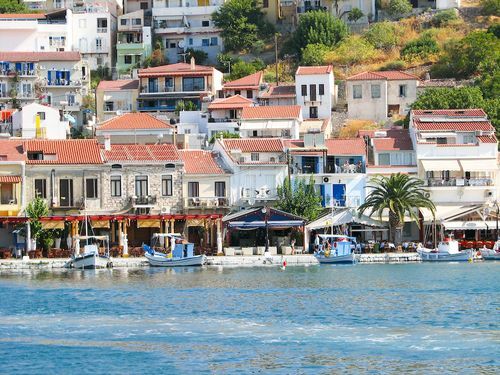 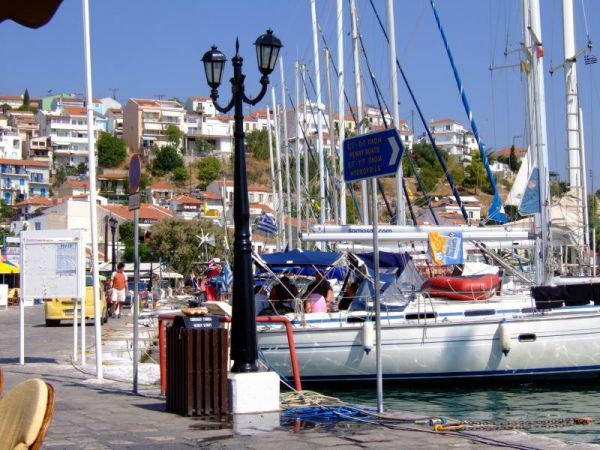 Pythagorio is the main touristic and yachting resort of Samos and one of the island's most picturesque and popular areas, located apx 13km from Vathy (Town) and apx 5min from the island'a aiprot, in a safe natural harbour. 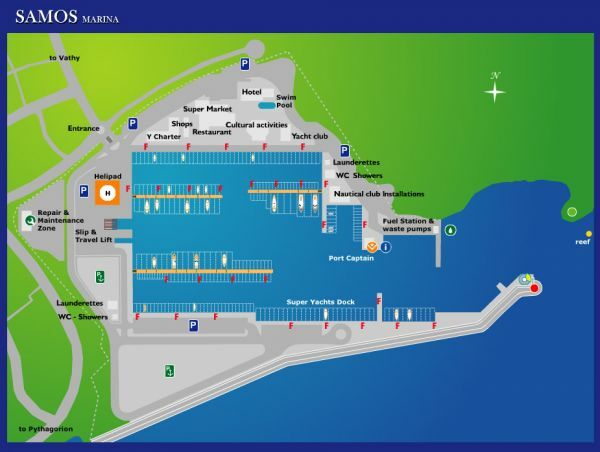 It also has an organised Marina (1.5km N/E). 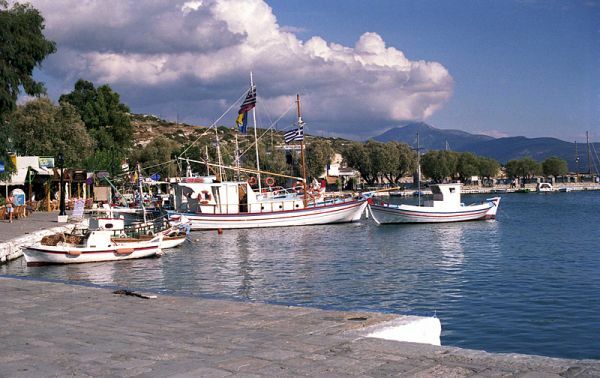 Many boats moor on the dock that lies in front of the village. 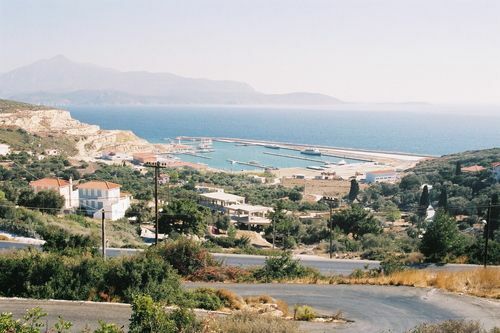 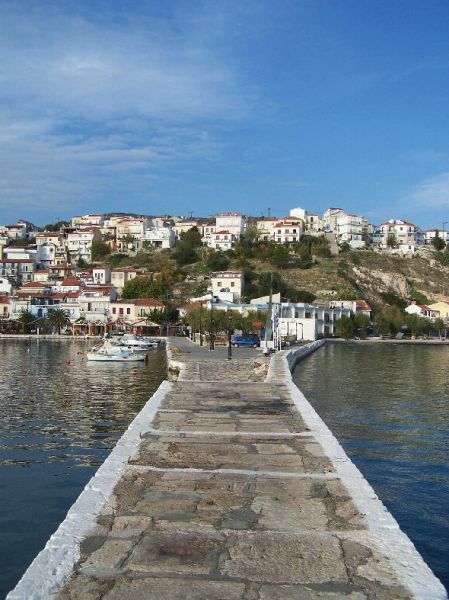 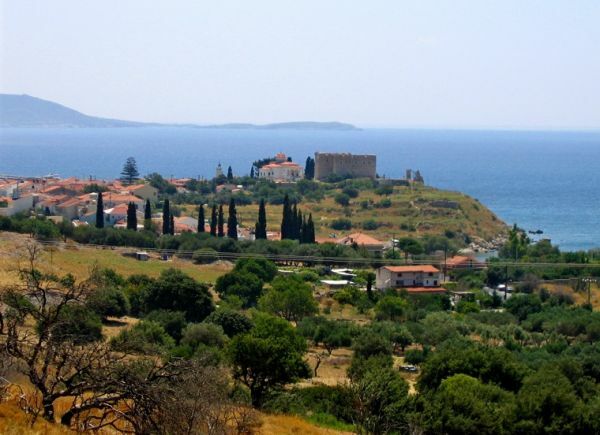 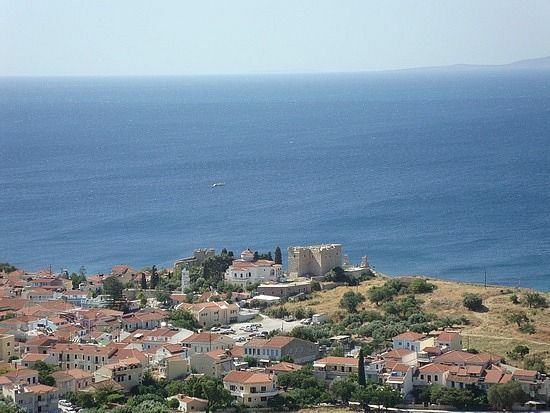 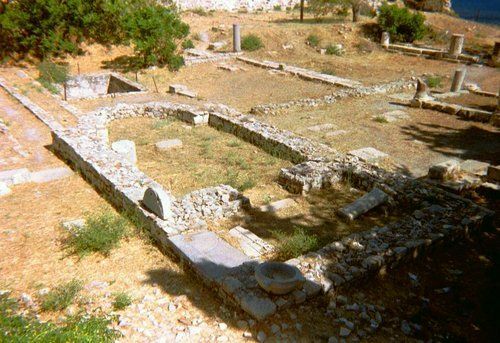 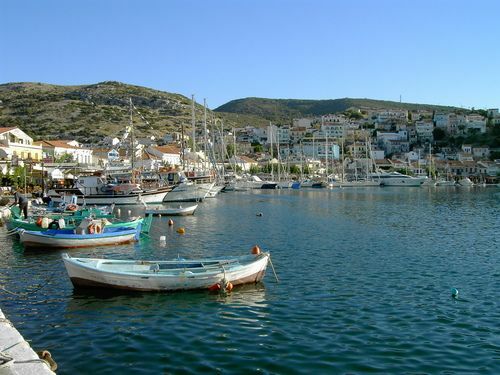 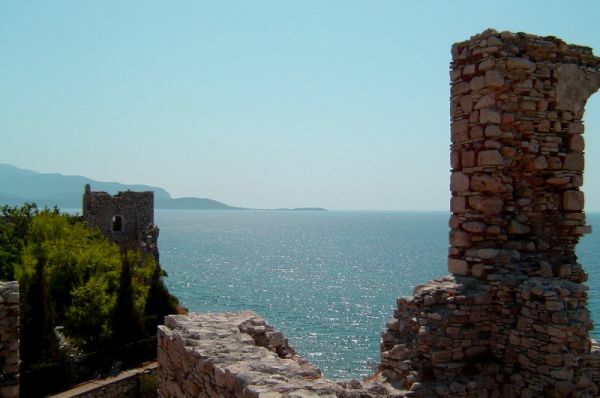 Pythagorio lies on the location of the Ancient City of Samos. 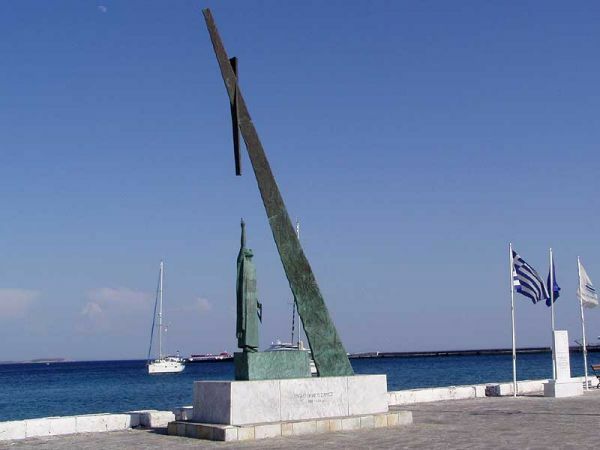 It took its name by the great ancient Philosopher and Mathematician Pythagoras who was born there. 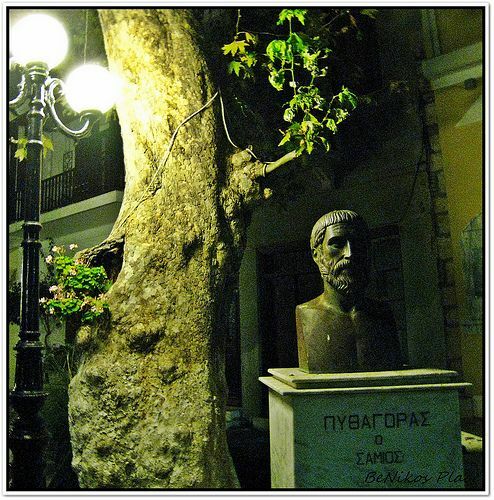 There, were also born: The great philosopher Epicure (Epikouros), the great astronomist Aristarchus (Aristarchos) and the ancient writer Aesop (Esopos) who is world known for his fables. 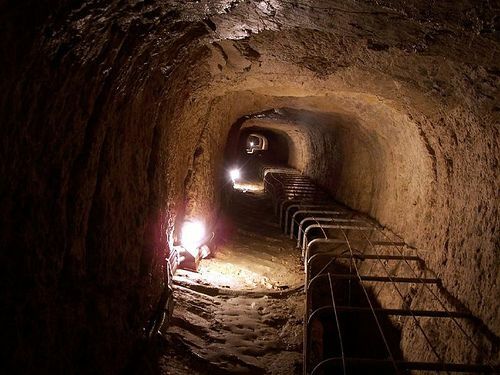 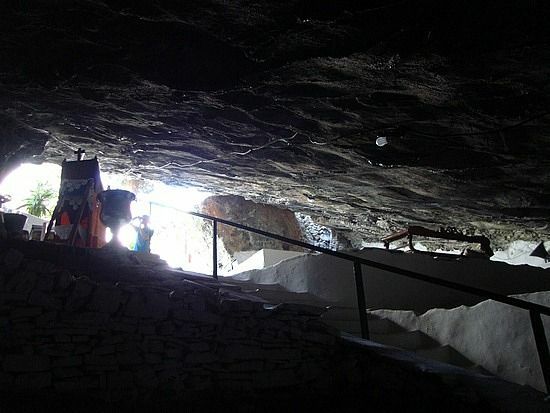 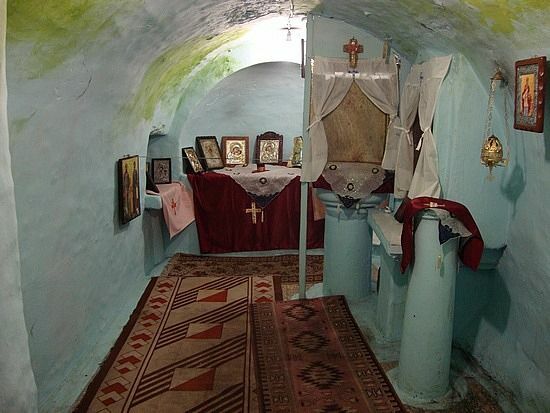 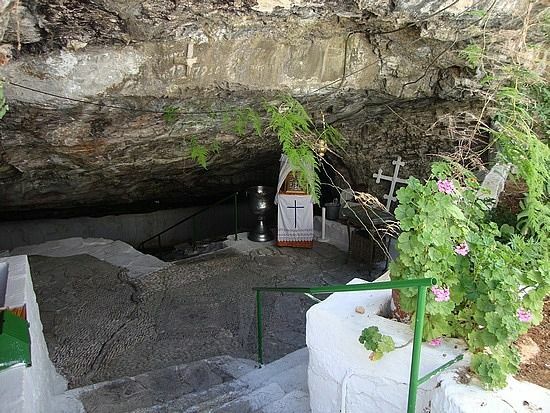 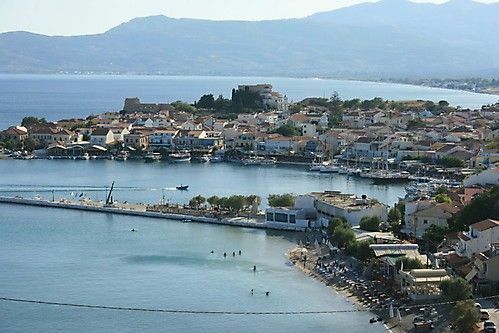 In Pythagorio there are several important archeological and cultural sites such as: Lykourgos Castle, Pythagoras' Statue, the Metamorphosis Church, The Tunnel of Ephpalinos, the Church of Spiliani with its picturesque cave chapel, the Roman Baths and the Glifada Lake (see separate listings). 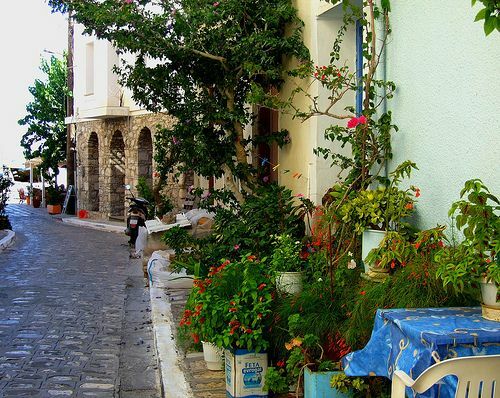 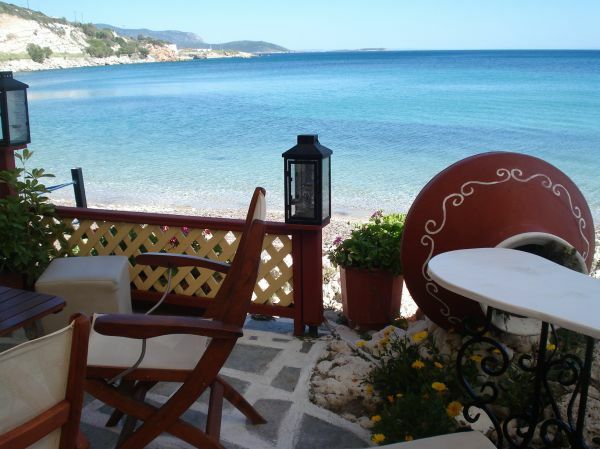 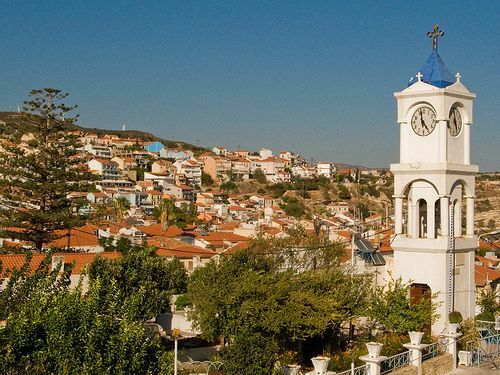 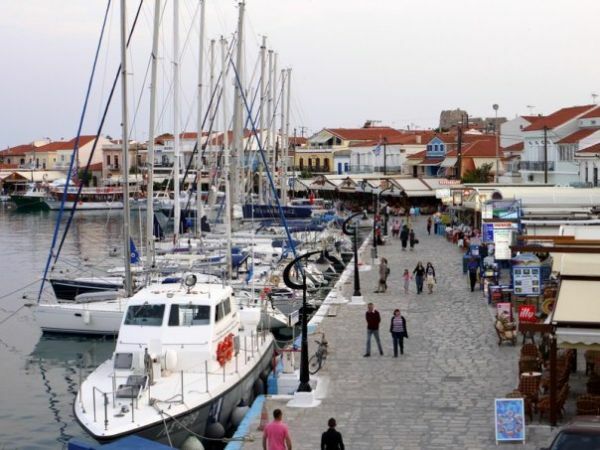 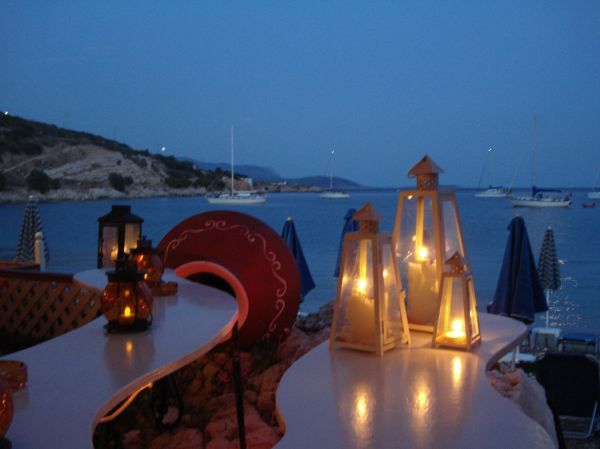 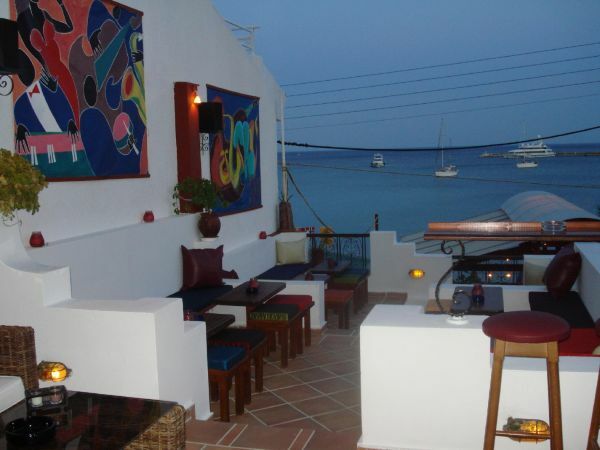 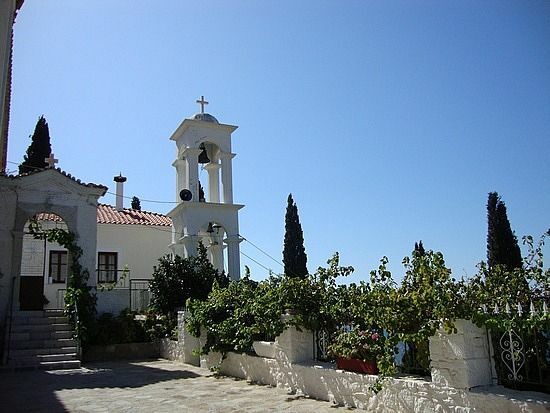 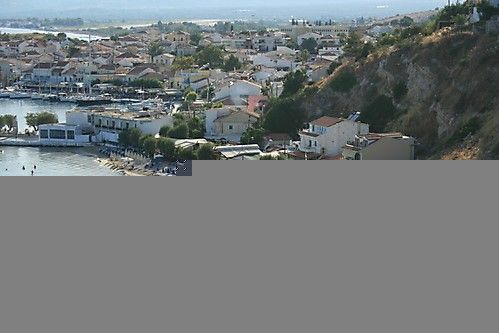 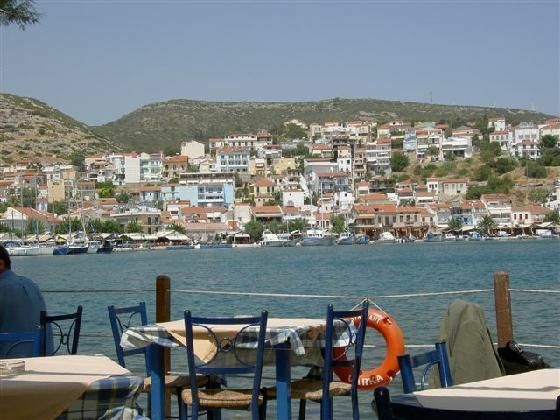 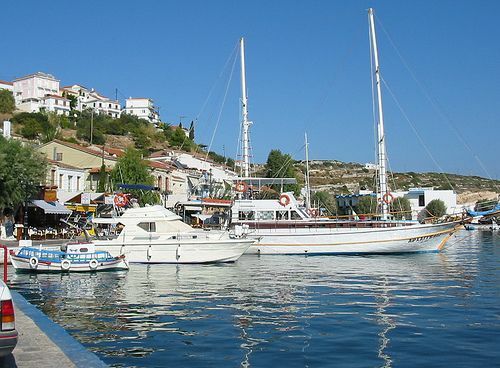 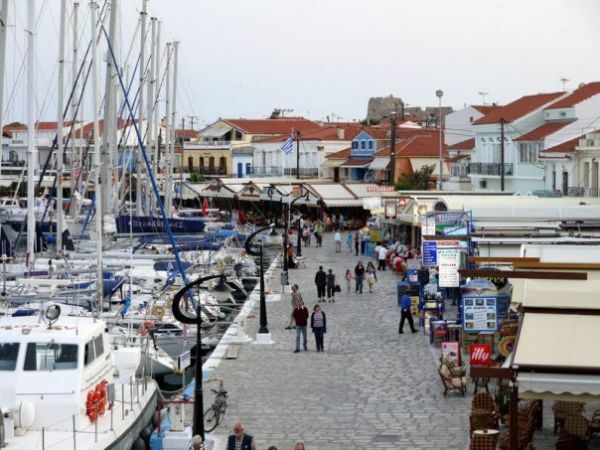 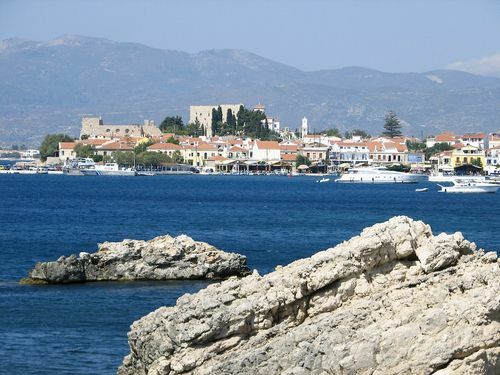 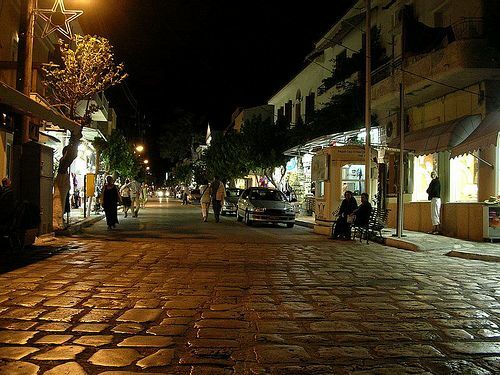 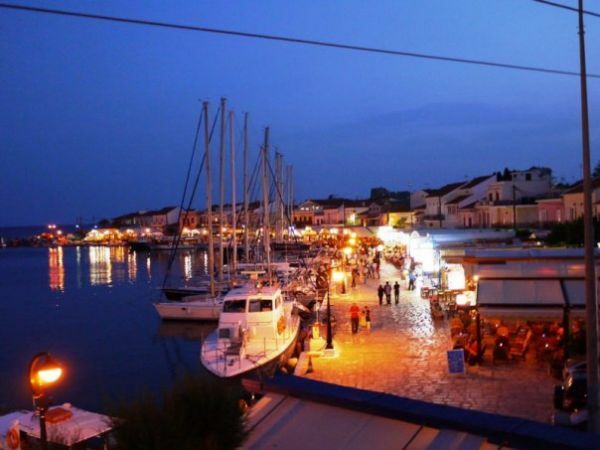 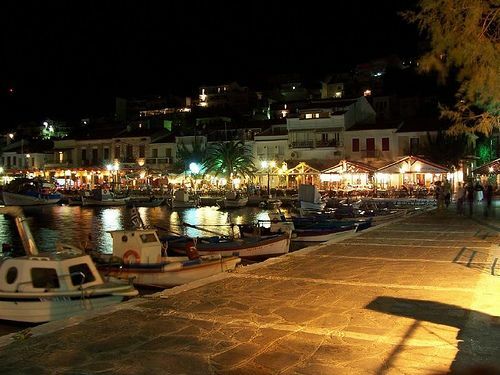 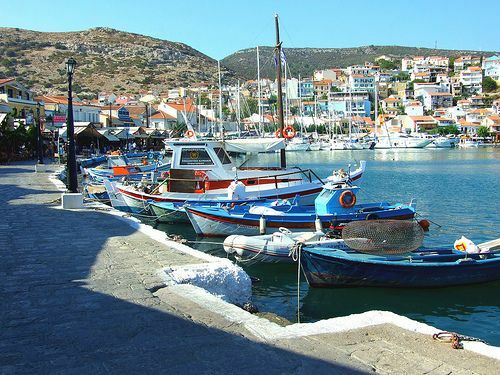 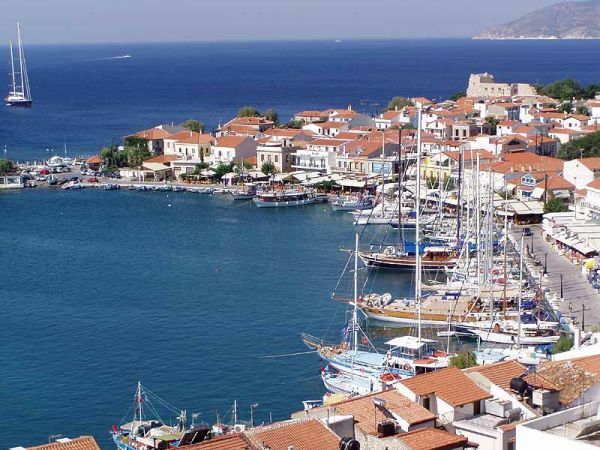 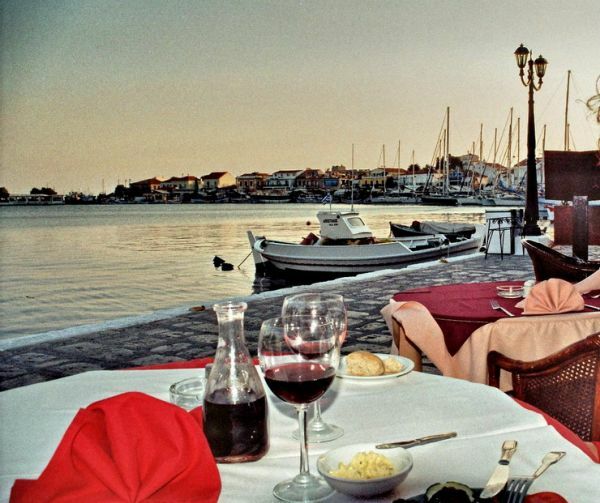 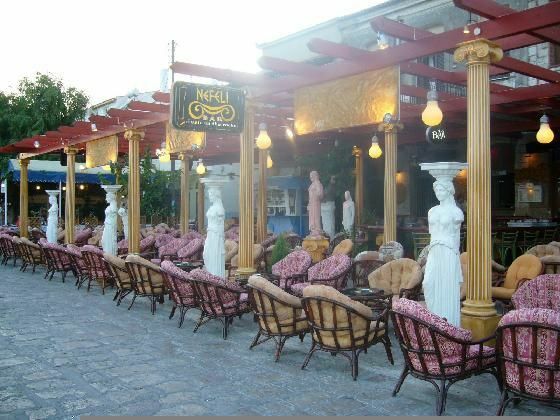 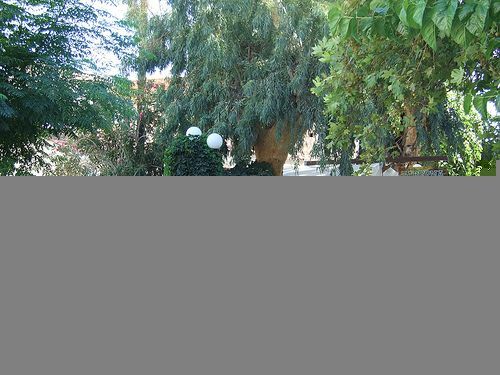 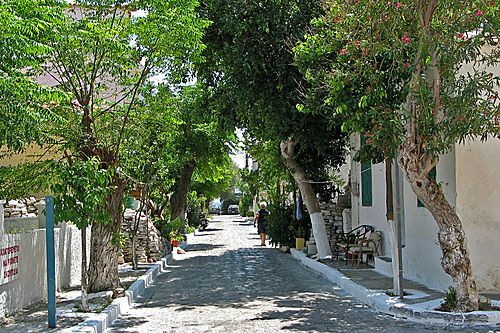 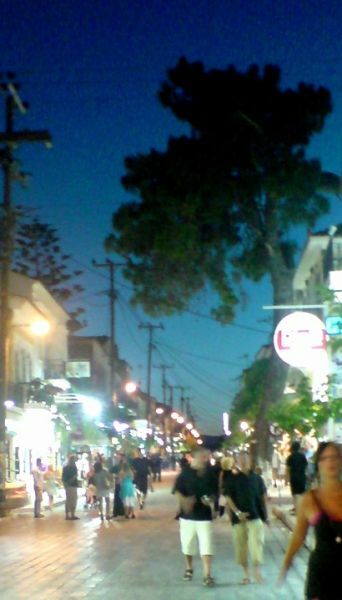 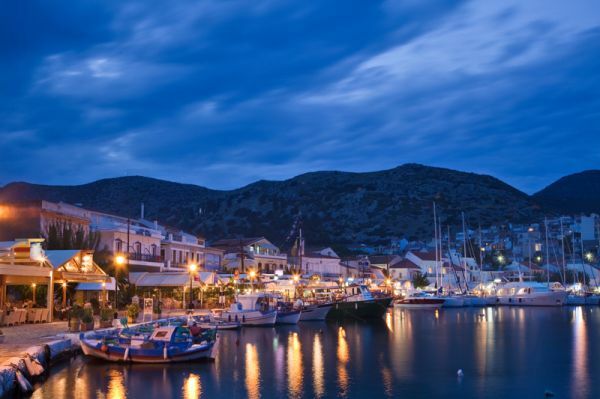 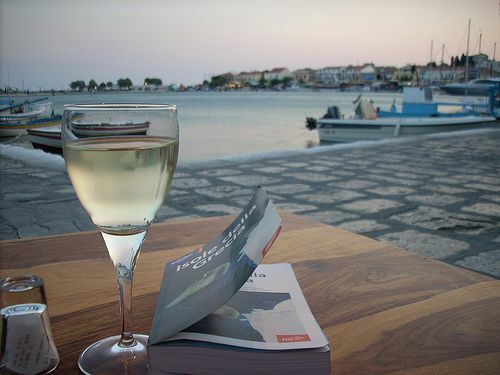 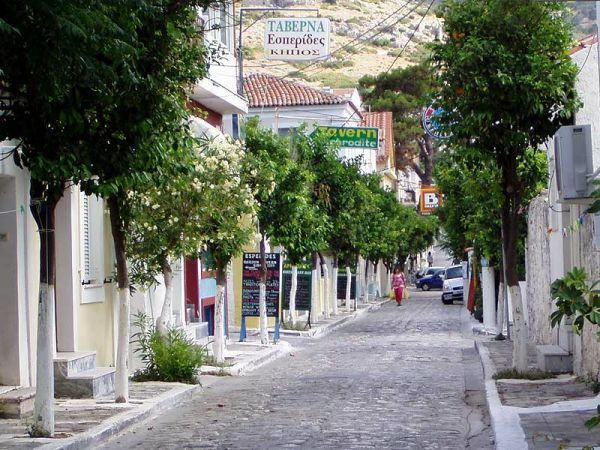 In Pythagorio you will enjoy day lifie, night life and shopping. 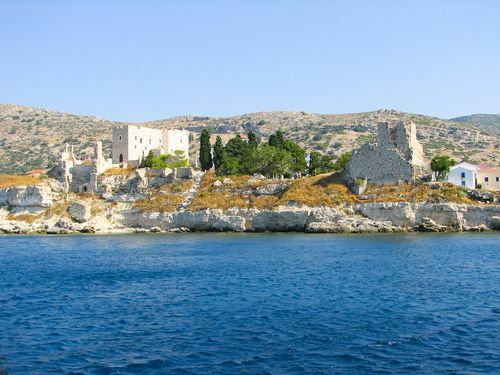 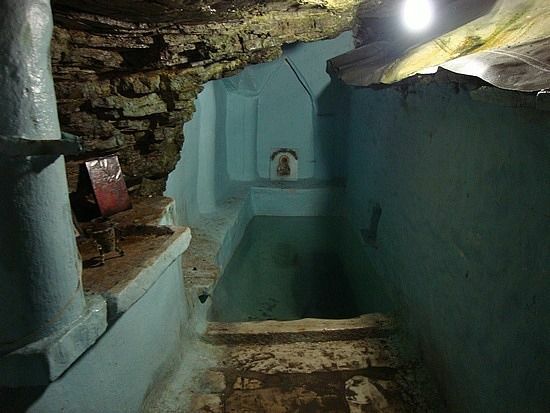 Due to its natural beauty and rich history it has been declared as a "Unesco Cultural World Heritage Site". 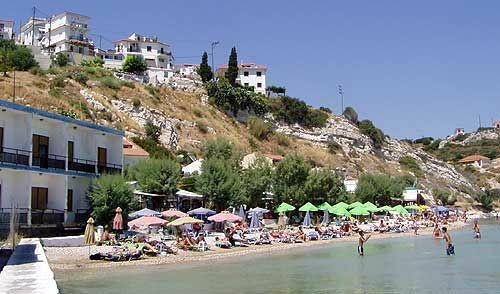 REMATAKI BEACH: The beach is located in front of the resort and has peebles and sand. 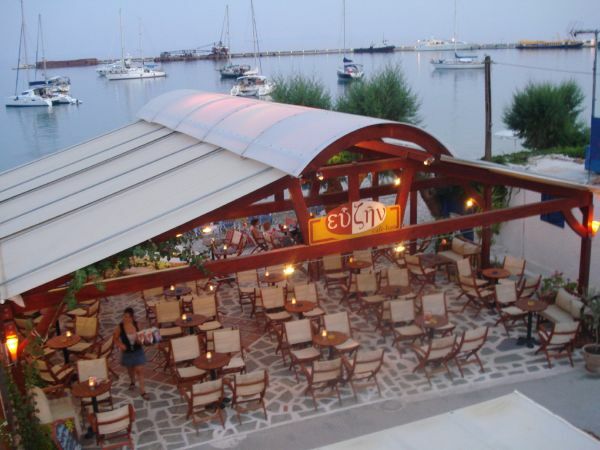 It is organised with umbrellas, sunbeds and water sports. 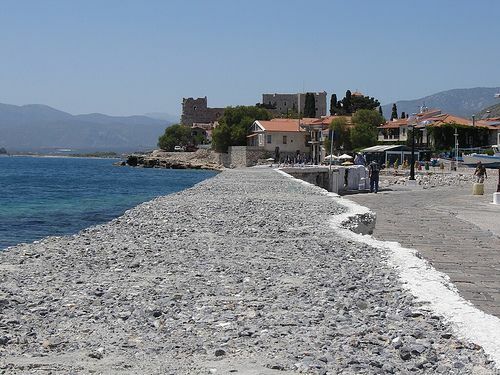 It has crystal clear waters and is convinient for a quick dive. 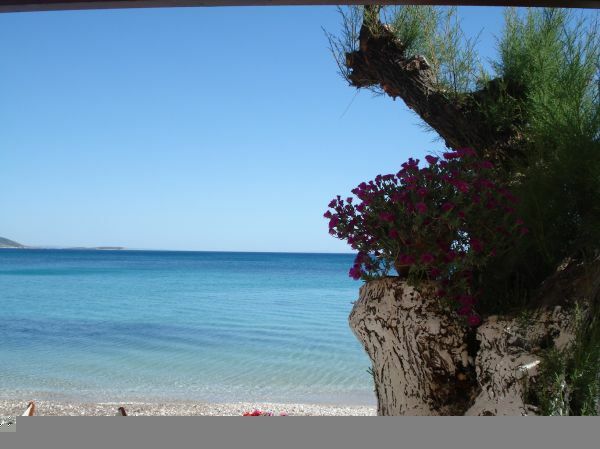 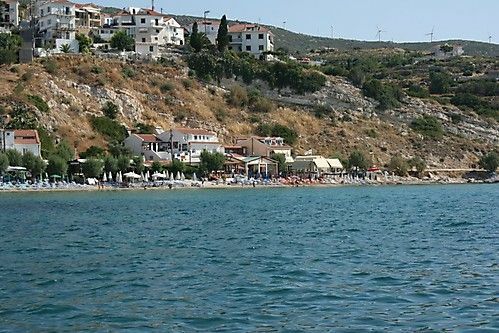 There some quiter beaches close to Pythagorio such as Potokaki, Mesokampos, Psili Ammos etc (see separate listings). 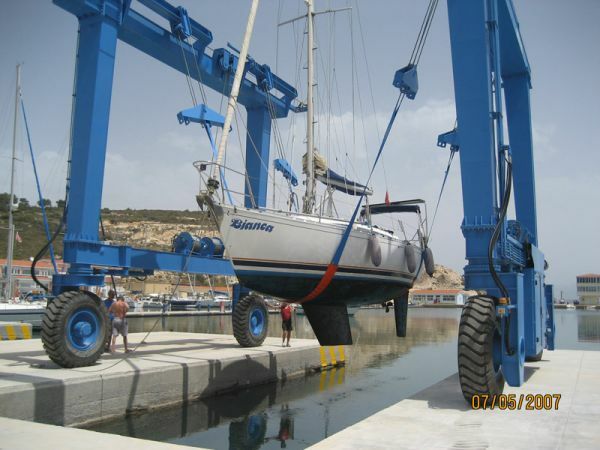 ANCHORAGE INFO: If you don't find a place on the dock (very possible in the peak season), you may anchor in the outer harbour, which is very safe with the meltemi (N/E). 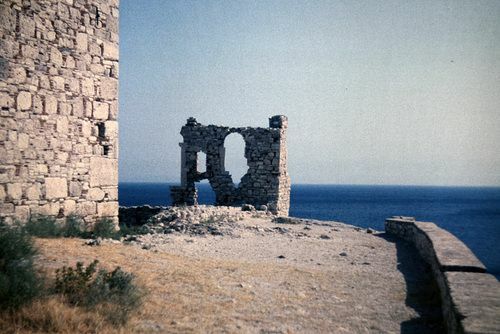 Unsafe with E-S/E winds. 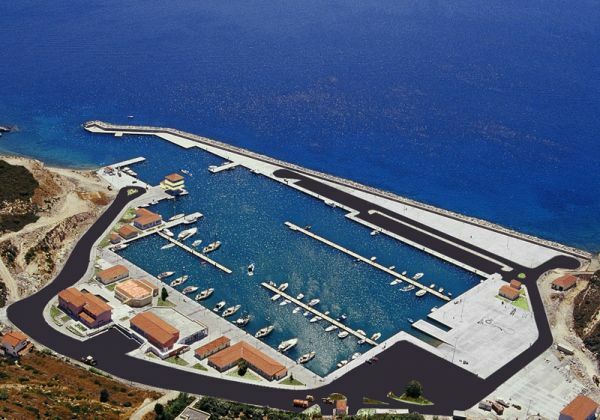 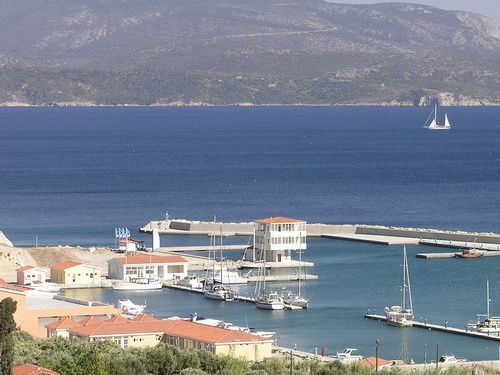 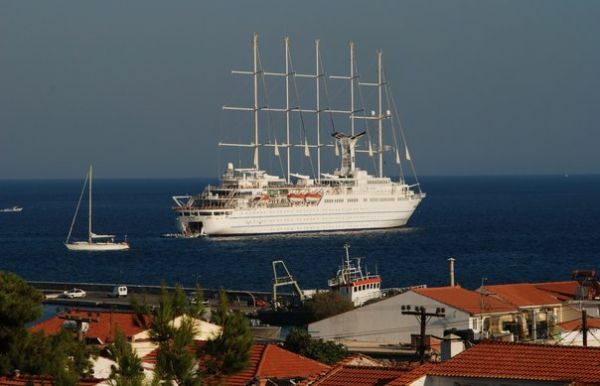 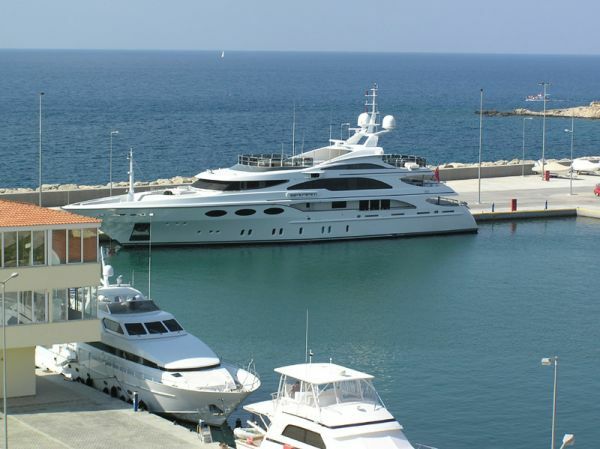 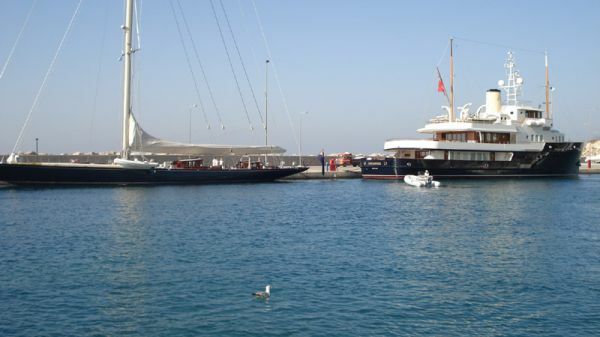 MARINA: Capacity: 260 boats, mainly up to 25m and up to 50m.